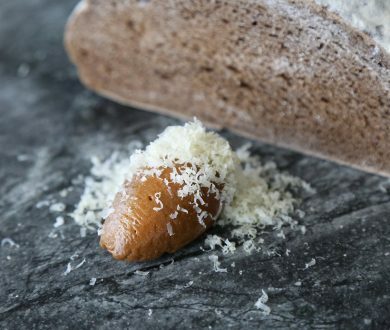 The simple bread and butter pairing in its various iterations has long been quintessential comfort food. But when served with flavoursome, garlic-infused butter, the classic starter is almost impossible to beat, especially fresh out of the oven. So seemingly simple, you would think that making garlic bread at home would be easy, but in all the times we’ve tried, there’s been something off. The final result suffering from unbalanced garlic proportions, overly dry bread or an uneven distribution of butter. 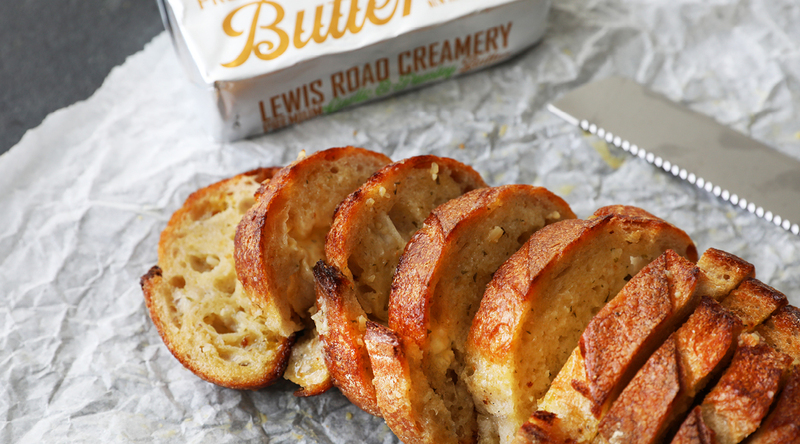 That was until Lewis Road Creamery released its new butter, and changed the game for good. 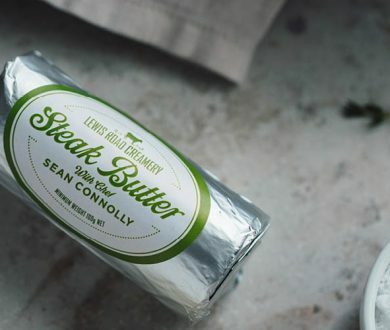 Packed with real chopped garlic and fresh parsley, the acclaimed creamery’s award-winning Garlic and Parsley Butter has made the prospect of at-home garlic bread all the more enticing, and undeniably easy to make. Deciding last Friday to put the new product to the test, we took a soft loaf of sourdough, and cut through its crunchy, golden outer shell, creating cavities into which slices of the Garlic & Parsley Butter were placed. Wrapping the loaf in tin foil, we placed it into a warm oven for around 20 minutes in order to render the bread crunchy and the butter evenly melted. The whole exercise took around half an hour and resulted in a warm, aromatic loaf that pulled apart perfectly and provided the ultimate Friday afternoon snack. 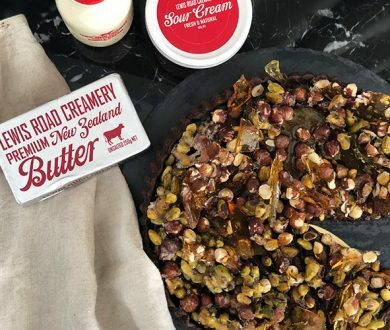 Taking all the hassle out of creating something that everyone will enjoy, whether as the first course of a dinner party or a comforting, winter bite, Lewis Road Creamery is making it easier than ever to produce restaurant-quality garlic bread, in a matter of minutes. It’s the ultimate at-home hosting hack and set to seriously impress.